Memorial services are not only held in lieu of funerals, but many times in addition to them. They are held without the deceased person’s remains actually being there. While funerals are traditional in nature, memorial services are more casual or informal. People are at ease and not as grief-stricken as they are at a funeral or burial. Mourners are free to mingle and chat with loved ones and friends. 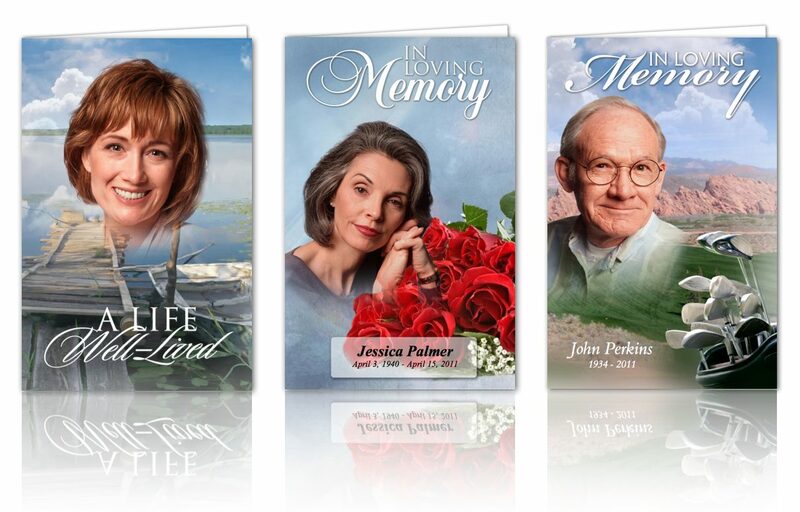 Similar to funeral program, memorial services are a celebration of the deceased person’s life. Music is played and family members and friends take turns reliving memories. Many times, slideshows or photo collages are displayed with images of the individual and his or her family and friends. Slideshows are usually played with the loved one’s favorite music in the background. Memorial services are not normally solemn events and attendees leave with a full heart. Your grandfather recently passed away after a long illness, and you’ve been asked to speak at his memorial service. You know he lived a long, happy and full life. He was loved by many, and was a friend to everyone. Do you know what to say and how to present it? If you are nervous about expressing your thoughts in front of everyone — and really are at a loss for words — there are some things you can do to put yourself more at ease and present a memorial speech or eulogy your grandfather would be proud of. Never speak at a memorial service unprepared. You may feel you know what to say, but when the time comes, you could be overcome with emotion or grief that you will forget. funeral program template is given. Take some time and organize your thoughts. Talk to family members about their favorite times with their loved one. Look at old photos, videos or letters for inspiration. Then write from your heart in funeral programs. Talk about your childhood with him or her and your favorite memories, jokes that were told and places you attended together. Make drafts and put final thoughts on note or index cards that you can easily keep in your pocket or purse. They will come in handy and help you with your speech. Whether it’s in front of a mirror or with your best friend, practice what you are going to say. Videotape or record yourself so you can hear what you sound like and how you look. Make sure to stand up straight and look at your audience. If this is what makes you nervous, pick a spot or two in the room and keep those as your focal points. This may sound like something you would use while giving a speech in English class, but visual aids do help. Books, photographs or even a favorite baseball cap are good visual props and give you something to talk about. Remember, your speech will inspire others to talk about the deceased person too. You can also read a few funeral program poems or recite a some of the deceased person’s favorite prayers or quotes during your memorial speech. While this ceremony is a celebration of life, it is also a time to say good-bye. Reading and hearing inspirational words can help not only you but those in attendance with their grief journeys. If you like, you can make copies of these poems and hand them out at the service as keepsakes. Many times, you will have more than a few days to work on your memorial speech, so you will know what to say at the memorial service when the time comes. It’s best to just be yourself and not stray from your notes. After practicing a few times, you will know what to say, how to say it and feel comfortable saying it.